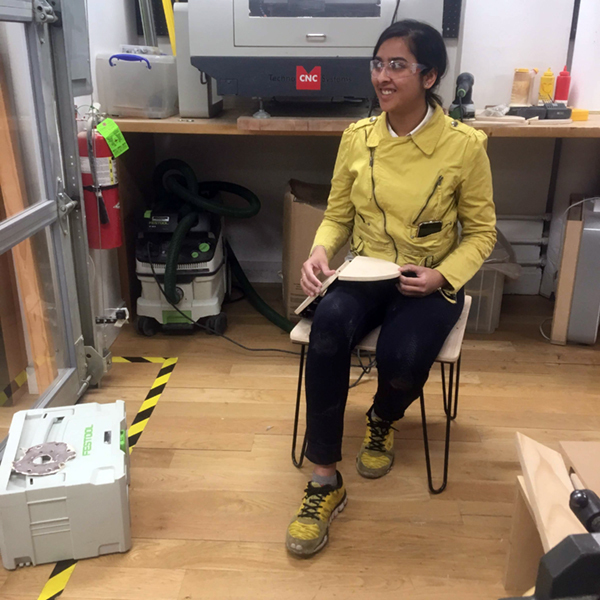 Rhea Bhandari (MFA Products of Design '19) celebrates progress on her chair for menstrual pain. 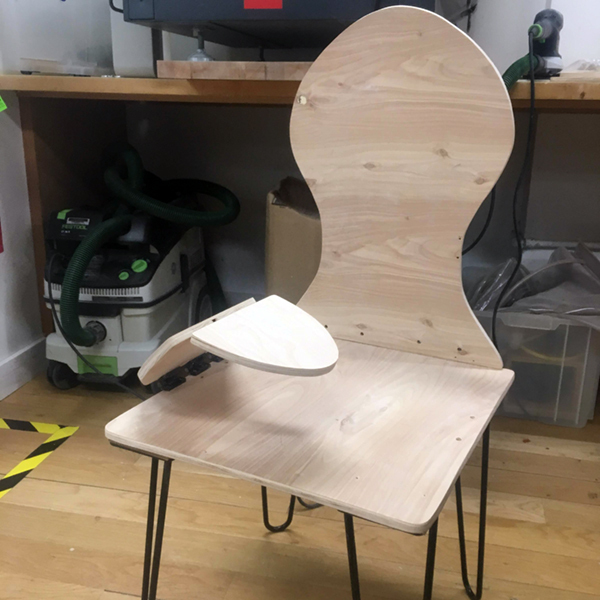 The chair is a 3D product proposition for her thesis body of work on preventing misdiagnosis of women's health problems. The arm of the chair provides soothing pressure for menstrual cramps.